I would just like to welcome EC fc to the forum. Lookin forward to a day in the Capital. Feel free to enjoy the banter. Welcome Edinburgh. If you could avoid using the word "banter", I'm sure you'll fit in fine. A couple of things you need to know, City. Clyde are the biggest team in the lower leagues. Do not ever forget that. Arbroath have a brand of football that is swashbuckling, full of joie de vivre and panache. This is known as playing the 'Arbroath Way'. Berwick like to moan about stuff and try and wind people up. If you piss them off in some way, they will NEVER forget. Everybody else is sound. Aye you need to be a bit careful with Clyde fans. They're awful precious. Always harking back to the days they were relevant even though they're now only about the 4th biggest club in the bottom tier. Word of warning about Berwick fans, they'll be hoping you amalgamate with Hibs and Hearts at some point in the near future to form an Edinburgh City team only. Atleast you'll get to keep your name. The Mo fans are the happy lot of the forum. Literally get absolutely buzzing over signing bang average players and finishing 8th. Harmless lot in reality except from when they face us and the #MoYoungTeam come out in force with their smoke bombs and thuggery. It's been a while since we've had Forfar in the league so can't comment to much on the Bridie munching fermers but watch yourself at Cowdenbeath. Quite a few neds in their support at their ram shackle stadium and they hate moving ends at half time and love scrapping. Not a friendly bunch. BE A WEAR. 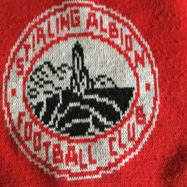 Stirling fans are fine on the whole but be prepared to hear them criticise your ground. Heard on numerous occasions about Gayfields crumbling terracing from them. They can be very critical of grounds/stadia. Annan are quite a quiet bunch and Pismoondo loves a post after being on the bevy. A sound bunch on the whole but they do not seem to rate Kevin Nicoll for some reason which makes me believe they don't have much footballing knowledge. As Kevin Nicoll is a footballing genius. Elgin fans are a good bunch that are Craig Gunn daft, which makes total sense, good ground and social club. And of course the Arbroath fans, Angus' premier football club, are all very very #dece on the whole and the team plays football #TheArbroathWay. We are also world record holders and we love to go on about it. Enjoy and I look forward to a day trip to Edinburgh. What exactly is a "wear"? Some sort of mystical creature that roams the fields of the beath? Aye welcome to Edinburgh city and their support. Looking forward to playing you away from home. And Forfar for that matter. After I've visited both of them I've only got Balmoor and Tannadice to go to and then I've been to every pro stadium in Scotland! You missed the story of an Ecuador 3rd division club winning 44-1 recently. Guinness records are debating whether to delete Arbroath from the record books. They're no longer debating it. Our record stands. Welcome to the Big Boys League City, hope you find your feet at this level. Despite what some Albion fans say quite looking forward to visiting Meadowbank next season and hopefully coming away with the points. Enjoy your stay here and I hope you prosper. Would help us if you could take a few points off Clyde in the coming season. Hope you enjoy your visits to Forthbank and remember your not playing the Uni your playing the big boys in Stirling now. Welcome. We now have a rival for nicest town in the Division. I'm pretty sure it's a city. Nicest built up area then ya p***k.
Berwick upon Tweed? Nicest town? What you put on your nethers is probably best kept to yourself.